Having a positive perspective will improve your life and your relationships. It’s so simple, and yet so difficult for us at times. Positive thinking will lead to positive emotions. And people who regularly feel positive are in a way lifted on an “upward spiral” of continued growth and thriving. 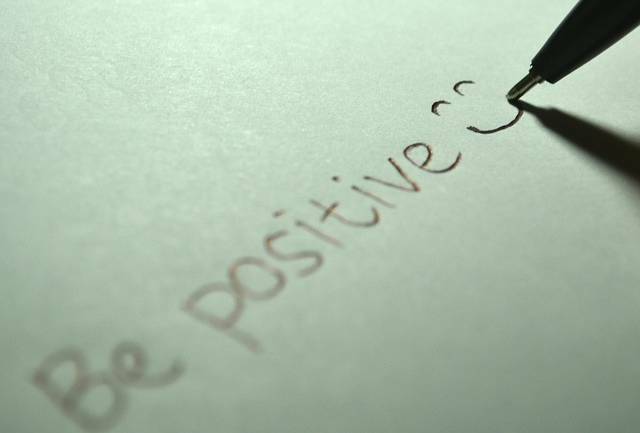 So how can we shift to positive thinking? Now that you know it makes sense for you to have a positive perspective in your relationships, make the decision to commit to this. If you want to grow and thrive as an individual as well as in your relationships, then you’ll have to do the work to have a positive perspective. You have a choice. You choose how you view people, and in turn how you respond to them. In any given interaction you choose the ideas you develop about people. So start choosing more positive ideas. The good news is that people with positive outlooks process information differently than those with more negative views. The more you utilize a positive perspective, the more it will become who you are and you’ll incorporate this into all aspects of your life. So take these steps now to begin having a positive perspective in your relationships. Always think first. Process the situation and come to a decision on how you choose to respond. Give yourself the time to decide to think positively. If you act quickly, it’s highly likely that you won’t have the time to truly examine all possibilities and may just be reacting on your emotions. Your thoughts are not fact. You might think that your boyfriend really doesn’t care, which is why he keeps forgetting to do things. But this may not be the case. Recognize that you were deciding to think the worst, and instead give him the benefit of the doubt. Some people are just forgetful. Your relationship will not improve if you think the worst about people, instead it will suffer. Everyone will not think like you. And thank God for that, because it would be such a boring world if that was the case. Consider that if your sibling who was raised by the same parents as you, has very different views than you, then it’s likely that will be the same for someone raised across the country. But just because someone thinks differently than you on a subject, doesn’t mean you should think negatively about them. Recognize that our personalities and experiences shape how we think. Just keep on talking, share your thoughts and maybe they’ll understand you better and their thinking will change. And also listen to them, maybe you’ll understand them better and your thinking will change. It’s so easy to think about what you don’t like about people. Not liking something about someone causes you discomfort and it can be hard to ignore. So don’t ignore it, instead refocus your thinking on what you like about them. Recognize that it’ll be quite hard for you find someone that you like everything about. It is so easy to dwell on problems. We’re naturals at it. But this doesn’t help us. Dwelling on problems can actually worsen the situation because it takes energy away from productively seeking solutions. So refocus your energy on finding solutions to your problem. If you have a disagreement with someone, use your energy and thoughts to better understand them and to come to a agreement. Focus your thoughts on solutions. I hope as you take these steps to bring a positive perspective to your relationships you’ll see improvements in your relationships. Keep in mind it’ll take time. Don’t become discouraged if you’re not able to implement all of the steps or you find that you’re still thinking negatively about people. Just assess what’s holding you back from thinking positively and develop a plan to address it. And don’t forget to reach out for support if you need it.